Just south of the Vietnam Veterans Memorial Wall is the Vietnam Women's Memorial, which commemorates the 265,000 women that served in the Vietnam War, many of whom worked as nurses. 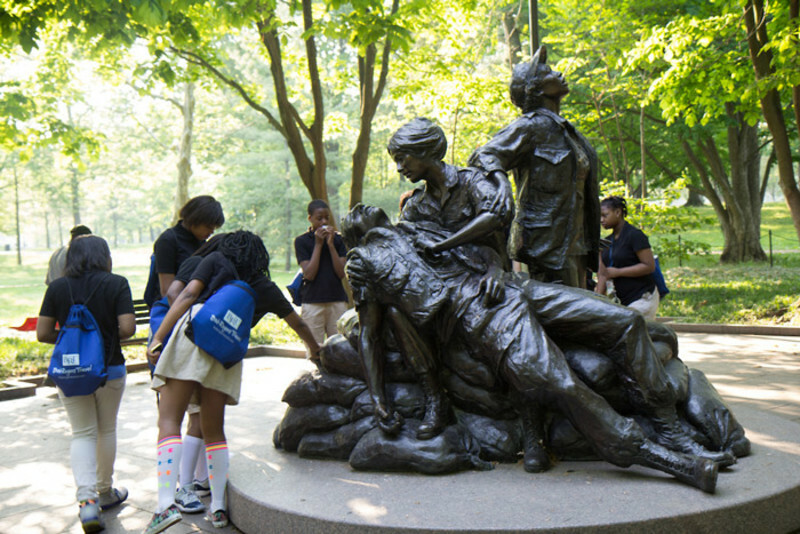 The 2,000 pound bronze structure stands 15 feet tall and depicts three women attending to a wounded soldier, reflecting the unity required during the conflict. The memorial, located in a grove of trees across from the Vietnam Veterans Memorial, is open 24 hours a day.